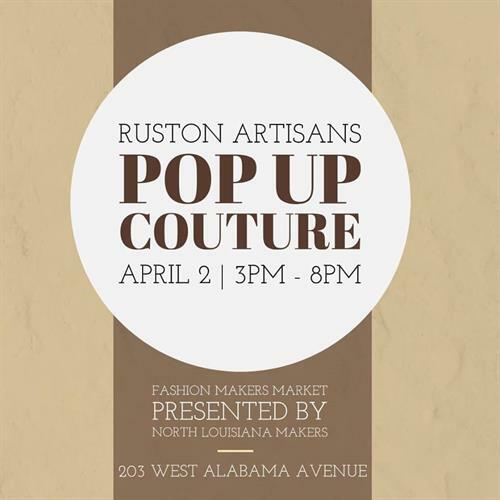 Join us in the venue at Ruston Artisans Tuesday, April 2, 2019 from 3:00 p.m. - 8:00 p.m. for makers, art and fashion! Pop Up Couture is a makers market featuring makers with fashion inspired items. There will be an artist reception for Ashley Greer's "Cosmic Dance" Exhibition from 5:00 p.m. - 8:00 p.m.
Come enjoy Ruston Fashion Week all week long!